Are you tired of trying on tri suits over and over again and no one seems to be THE ONE? 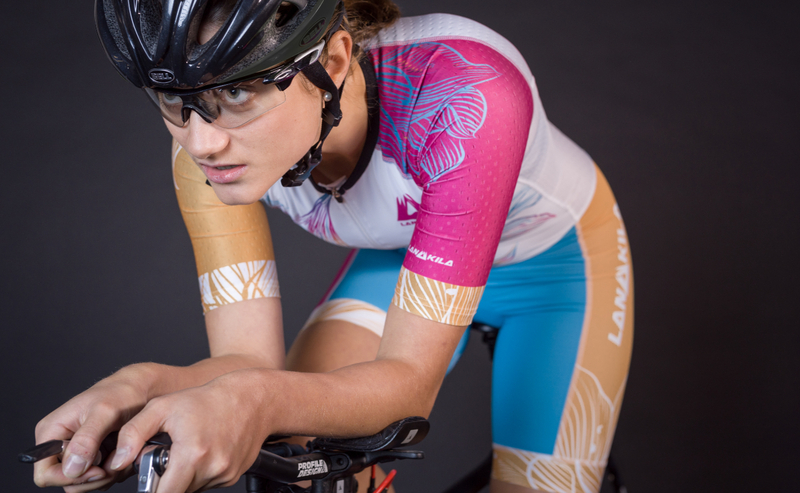 Lanakila tri suits have been developed and tested by passionate athletes. Any detail is thought through and sits at the right place. No matter which body measures you have - they fit perfectly and make you shine! Every piece has ben developed, designed and produced sustainably with love in Germany. Some production steps for some products are situated in other EU-countries. All fabrics are certified Oeko-tex and some are made from renewable organic resources or even recycled materials. We ship climate-neutral & support projects that filter micro-plastics out of our oceans. Amazing Killer-looking designs are our passion! We create one for yourself or your whole team!